She found a map and it led her to Sardi's! 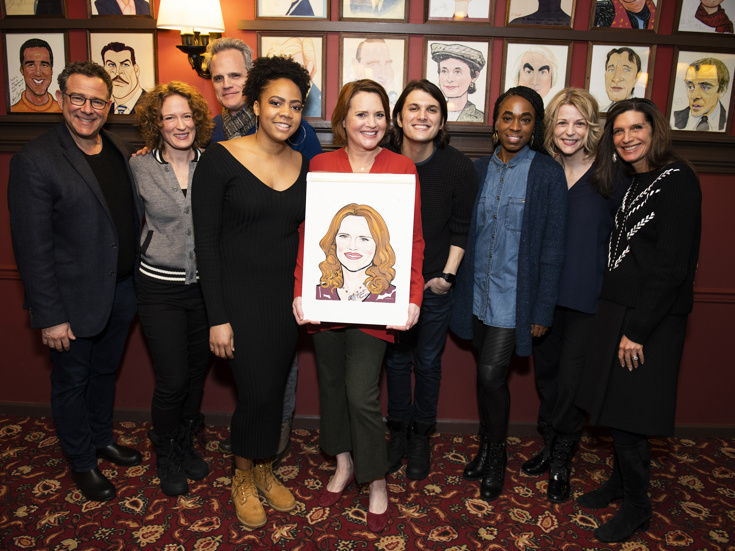 Dear Evan Hansen original cast member Jennifer Laura Thompson received a Sardi's portrait on February 12 in honor of her incredible career. Thompson earned a Tony nomination for her work in Urinetown and is known for roles in Footloose, Wicked, Nice Work If You Can Get It and Lend Me a Tenor. To celebrate the honor, Thompson was joined by current and former Dear Evan Hansen cast members and a slew of her famous friends, including Tony winners Christian Borle, Matthew Broderick and more. Check out the photos, and be sure to see the Tony-winning musical for yourself. 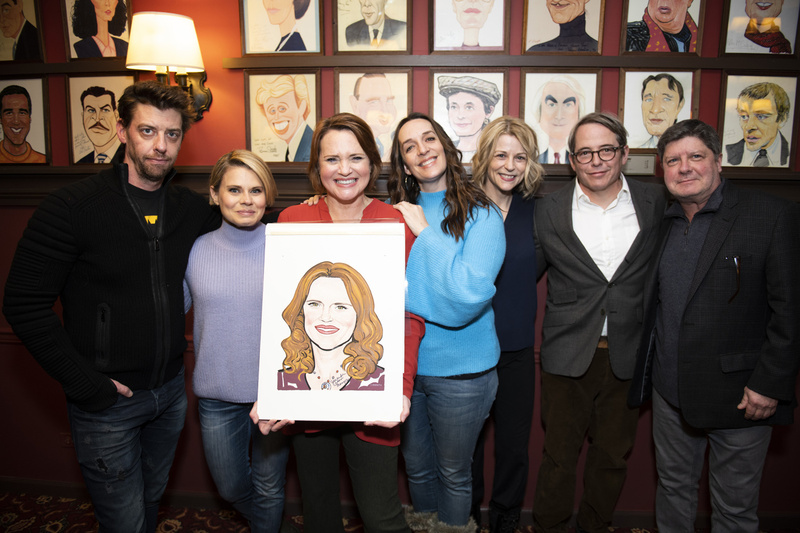 Jennifer Laura Thompson poses with Broadway pals Christian Borle, Celia Keenan-Bolger, Julia Murney, Lisa Brescia, Matthew Broderick and Michael McGrath.